SHANNON TOWNHOMES (PLN2013-00188): 38861 & 38873 Mission Blvd. 9/24/14 Note: They are now planning to try to retain the Avocado and Strawberry trees in the two side Open Space areas. Also, seven trees in the center grove will be retained. There were enough changes that it was deemed necessary for the plans to again be reviewed by the Planning Commission. 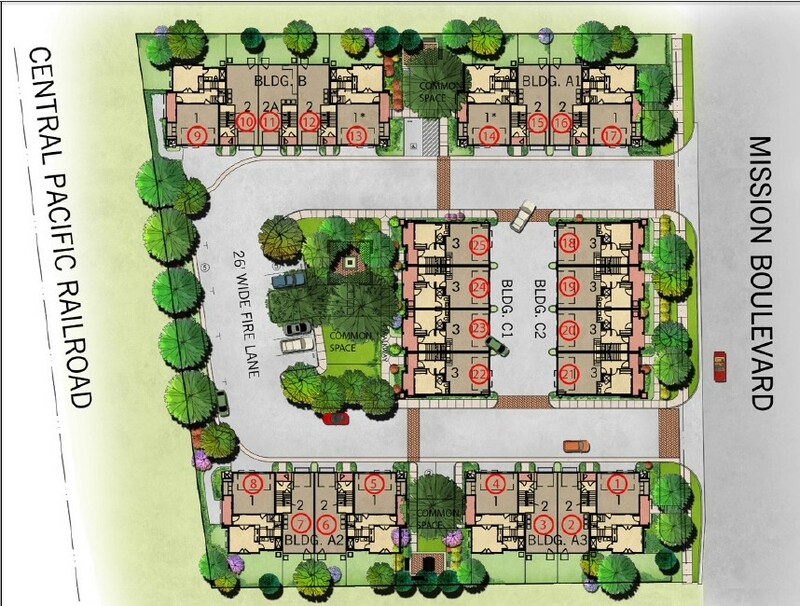 The redesigned plans submitted 8/25/14 are now available for public review. Changes from the original plans are noted in red below. The request for redesign came after the council voiced concerns that the Tuscan-style architecture was inappropriately massive for such closely spaced residential units. The council also noted that the three-story, single-family units being proposed were generally less desireable to buyers because moving about the house required frequent stair climbing. Two Fremont residents also objected to the fact that 67 of the 72 mature trees on the property were going to be cut down and asked the developer to change the layout to preserve more trees. The Shannon Townhomes development proposed by Wanmei Properties is located at 38861 & 38873 Mission Blvd. It is in the Central Community Plan Area. Currently, there are older homes on the two properties. There is a large grove of trees between the homes. The western boundary is railroad property. 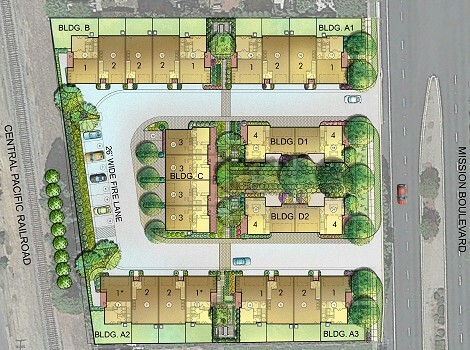 25 townhouse units will be built on 1.5 acres. A farmhouse dating back to the mid-1920s and a 1952 house will be removed. Most of the 72 trees are proposed for removal. 9 will be retained. There will be seven buildings with a mixture of two- and three-story units. Some garages will be single-entry 2-car garages that could be used like tandem garages. Others will have 2-car standard garages. 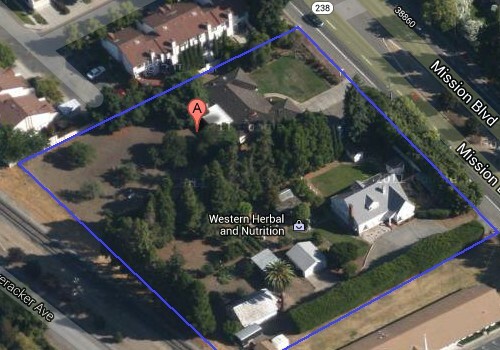 A new U-shaped private street will have two entrances/exits off of Mission Blvd. There will be Open Space along a central paseo. Smaller Open Spaces will separate the outer buildings. The masonry sound wall along the railroad side will be 6 feet tall. Two 3-story end units will be 7 or 10 feet from the sound wall. The City is again concerned with the request to remove the center grove of trees. Copyright © 2015 Shape Our Fremont. All rights reserved.